Bear never asks for anything. So when a letter arrives for the little chipmunk Izzy, urgently requesting her presence, she can’t refuse--even if there is a blizzard on the way! 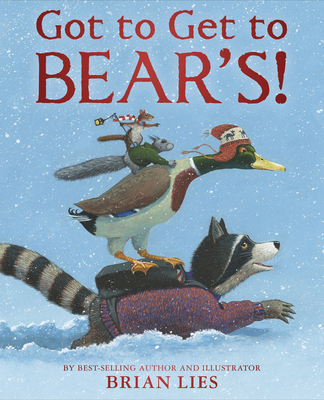 This heartwarming tale of friendship from bestselling author Brian Lies will melt even the chilliest of hearts. Bear never asks for anything. So when she sends a note to Izzy urgently requesting her presence, Izzy can’t refuse! But a blizzard begins and slows Izzy's progress. As the snow accumulates, so do her friends, helping her on her way to Bear’s place. This heartwarming tale from best-selling author and illustrator Brian Lies shows readers the rewards of counting on friends to get you through, snowstorm or not.